The Jungle Pontoon Tour is one of the top tours to do in San Ignacio, Belize. 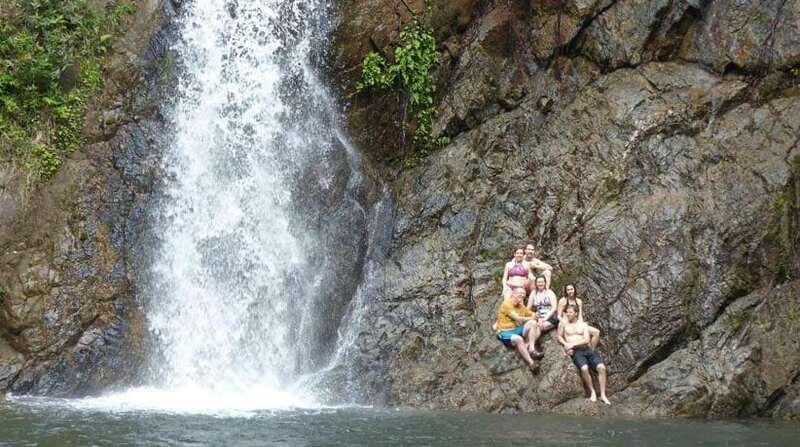 Enjoy a fun-filled day exploring three of Belize’s beautiful hidden Waterfalls in the Vaca Plateau. The Belize Waterfalls Adventure Tour leaves San Ignacio at 8AM. 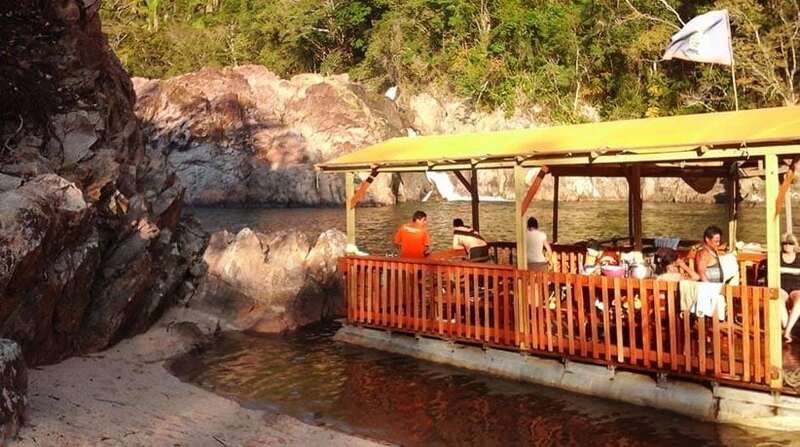 This full day activity includes a short drive off road and onto a jungle gypsy pontoon boat. 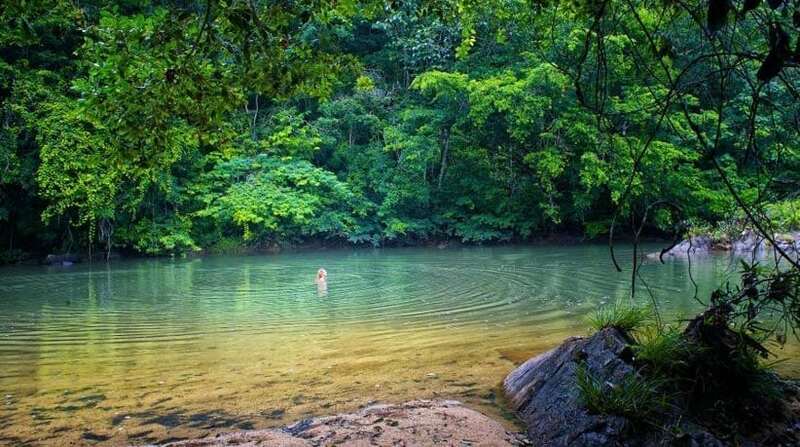 As you cruise down the river, look out for green iguanas, howler monkeys, colorful birds and butterflies. 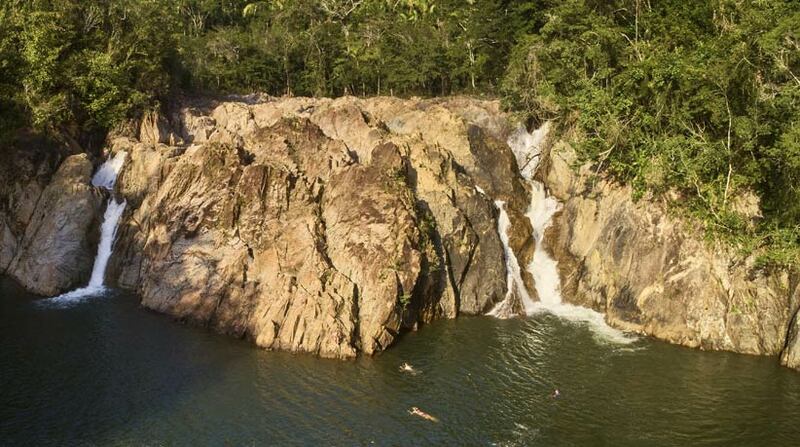 Upon reaching a secluded area, you get to hop off and climb to the top of the falls to enjoy natural infinity pools. After swimming for a while, hop back on the boat and visit two more magnificent waterfalls. The highest waterfall is about 70 feet high which descends gracefully into a large pool of crystal clear water-perfect for swimming. While enjoying the waterfalls, your expert tour guide will be making lunch. Lunch consist of typical Belizean Dishes with cold drinks. After lunch, enjoy more swimming, cliff jumping, tubing and rope swinging. Your friendly site guide will also teach you about Belize’s flora and fauna, and the history behind the hidden waterfalls. Travel to Belize, Central America and enjoy the beautiful natural attractions in the Jungle. Price includes: Transportation, Guide, Entrance Fee, Bottle Water, Soda, Tours Equipment. What to bring along: Towel, hat, extra clothes, insect repellent, camera. Sign Up for the Belize Waterfalls Adventure!